I’m sure you’ve seen that little alien head icon popping up everywhere in the “share this” section of your favorite websites. In fact, you might even have Reddit sharing enabled on your own blog, just to have your bases covered. Reddit is definitely becoming one of the premium sources for driving traffic, sharing information, and providing the gateway for all other social media sites to base their findings and news on. If you see something funny on BuzzFeed or on someone’s Facebook post, then chances are you can find the exact same content, word for word, on Reddit from a few days prior. What’s one of the better parts about browsing Reddit? There aren’t a lot of distracting ads and banners that disrupt the user experience. When I browse the Internet in my spare time, I love using Adblock. Adblock is one of the highest downloaded Google extensions and does wonders for clearing up the Internet. To show you how often I use it, look at this screenshot from my own personal computer and all the ads I’ve blocked. Despite my use, Adblocker is frustrating for marketers who are paying good money for ads, and bloggers that are making money off of ad clicks. That’s why this isn’t a pitch for Adblocker, I’m just using it to prove my next point. Content creators: if you don’t want us to use AdBlock extensions, don’t cover your site with flashing ads, banners with auto-playing sounds, or endlessly repeating animated graphics. If you follow the Reddit method, you should be able to place ads and get viewers to disable Adblock. Let’s see how they do it. I have to say that I really appreciate how unobtrusive the ads are on reddit. They just look like another link, nothing flashy and obnoxious. It’s really great when they’re relevant to the subreddit – I recently saw a cooking website being advertised in /r/foodporn. Keep up the good work! Let’s break down their formula for success. Unobtrusive, simple, sidebar or text links. Living in a democratic environment where things can be upvoted (liked) and downvoted (disliked). If you hover over a sidebar ad, a new “thumbs up”/”thumbs down” overlay will appear. If you “thumbs down” an ad, Reddit won’t display it again, and you can give feedback to improve ad quality in the future. This gives users a lot of control over the ads they see. Feedback is given and ultimately forms a better bond between the two. A relationship forms between the user and the site. If Reddit is a haven where Internet users turn off their AdBlockers, how can you get a piece of the advertising pie? First and most importantly, you really need to get to know your audience – and not just your target audience, but the whole community. Get to know Reddit. 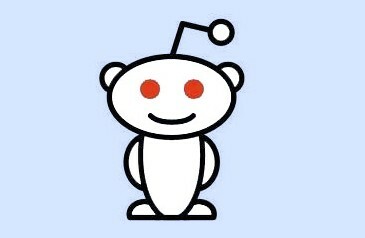 Become a redditor! With more than 65% of Reddit’s traffic coming from the US and 48% of that coming from the east coast, you’ll need to base your marketing strategy around these figures. If you’re going to try and advertise on a certain subreddit, read the side bar rules and learn what they call “reddiquette” so that your chances of reaching a wider audience is possible. Study other Reddit ad-placements at the top of pages. See if they’re captivating, get any attention or even have comments. Let me repeat myself when I say to really study the sidebar, because it will tell you if that specific subreddit has a lot of subscribers, and how many people are there at that given moment. There can definitely be some trial and error, and you should definitely different strategies in different subreddits until you find a formula that will work. What can your company do with all of this information to make the Reddit ad space a better place? Perhaps take it up with your employees, your customers, and put yourself in their shoes. Be engaging and relevant, and understand your community. When you do that, success is sure to follow. Good luck!